Towards the turn of the 20th century, photographer Thomas Nevin and his wife Elizabeth Rachel Nevin nee Day enjoyed the company of a musical family, the Tennyson Bates, who would eventually become their in-laws on the marriage of their eldest son Thomas or Tom Nevin jnr (Sonny) to Gertrude Tennyson Bates, daughter of renowned bandmaster Walter Tennyson Bates (1854-1905) and his wife Elizabeth Jane Bates nee Jones (1853-1916). 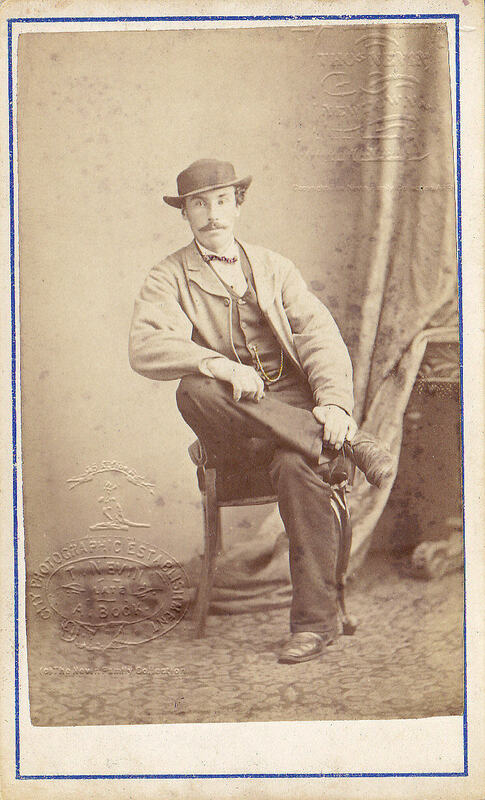 Known to the family as “Sonny”, when Thomas James Nevin jnr was born in Hobart on 16 April, 1874 (d. Hobart 17 January 1948), he was given the same first and second names as his father, photographer Thomas James Nevin (1842-1923). 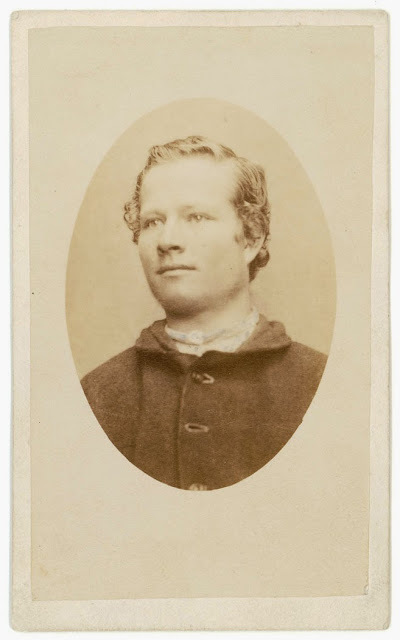 He was born at his father’s photographic studio, The City Photographic Establishment, 140 Elizabeth St. Hobart Town, the second child born to be born there after his elder sister May (Mary Florence Elizabeth, d. Hobart 1955) in 1872. 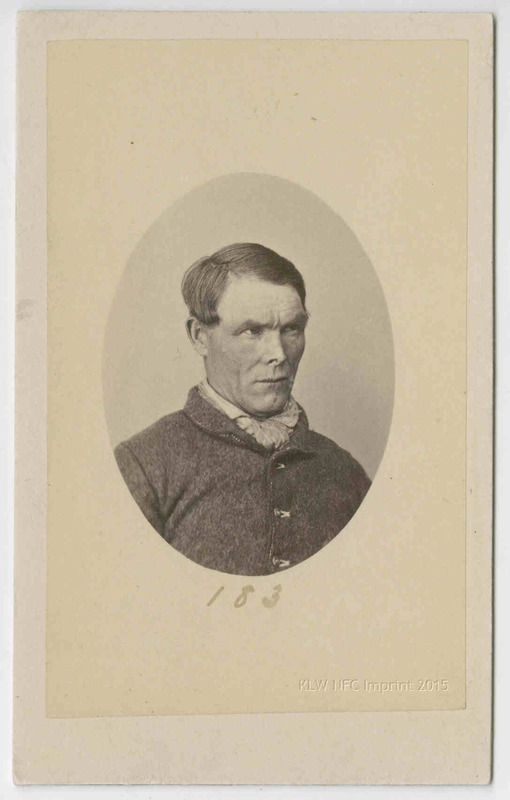 Because Thomas Nevin snr was away at the Port Arthur prison on business working with its Surgeon-commandant, Dr Coverdale, when Thomas James Nevin jnr was born, master mariner Captain James Day, Thomas Nevin’s father-in-law, acted as informant on the birth registration, dated 26th May 1874. 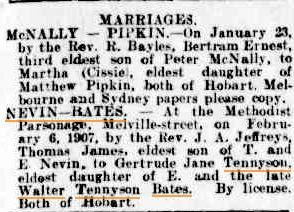 Thomas jnr or Tom, known to descendants as “Sonny” Nevin (1874-1948) married Gertrude Jane Tennyson Bates (1883-1958) at the Wesleyan Church, Hobart, on February 6th, 1907. Her father, Walter Tennyson Bates, musician, bandmaster and produce merchant, had died in 1905. By July 1907, Gertrude’s mother, Elizabeth Jane Bates nee Jones, had left Hobart and arrived in Sydney with six of her seven children. Gertrude remained in Hobart with husband Tom “Sonny” Nevin. Her mother and siblings migrated first to Vancouver, and eventually to California in 1910 where Elizabeth Jane Bates, widow of bandmaster Walter Tennyson Bates and mother-in-law of Tom Nevin jnr, died on September 9, 1916, at Oakland,California. NEVIN—BATES.—At the Methodist Parsonage, Melville-street, on February 6, 1907, by the Rev. J. A. Jeffreys, Thomas James, eldest son of T. and E. Nevin, to Gertrude Jane Tennyson, eldest daughter of E. and the late Walter Tennyson Bates. By license. Both of Hobart. 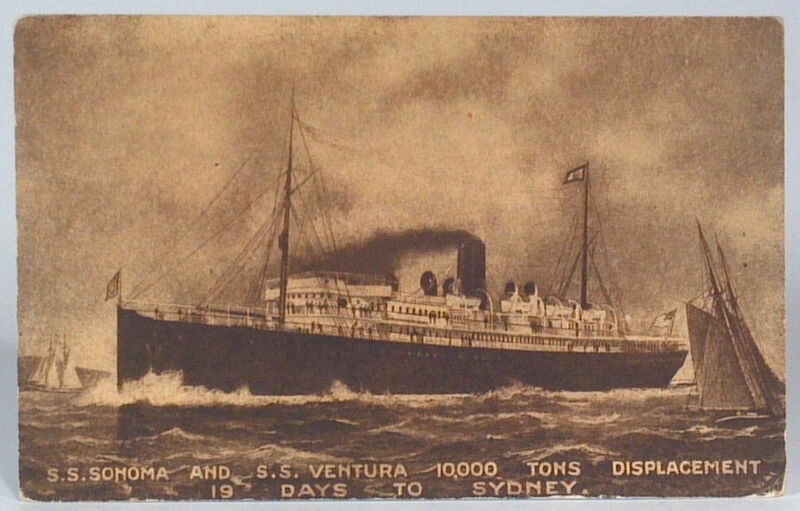 Thomas James Nevin jnr, his wife Gertrude Nevin nee Gertrude Tennyson Bates, and their son Athol Clarence Nevin travelled to and from California on board the steamers, S.S. Ventura and S.S. Sonoma, in the years 1920-1922. On enlistment into the armed forces during WWII, Athol changed his middle name from “Clarence” to “Tennyson”, his maternal grandfather’s middle name. See this post for Athol Tennyson Nevin’s war service records and medals. 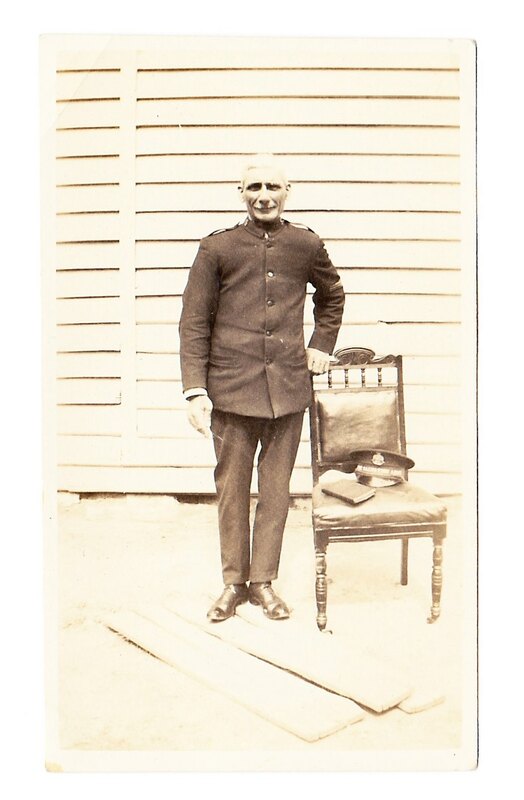 Above: Thomas James Nevin jnr (1874-1948), first-born son of Thomas James and Elizabeth Rachel Nevin nee Day, known to descendants as ‘Sonny’, pictured here shortly before his death in 1948 in Salvation Army uniform. Copyright © KLW NFC 2009-2017 & KLW NFC Private Collections ARR. Gertrude Jane Nevin nee Tennyson Bates was born in Melbourne in 1883, the eldest daughter born to Walter and Elizabeth Tennyson Bates. 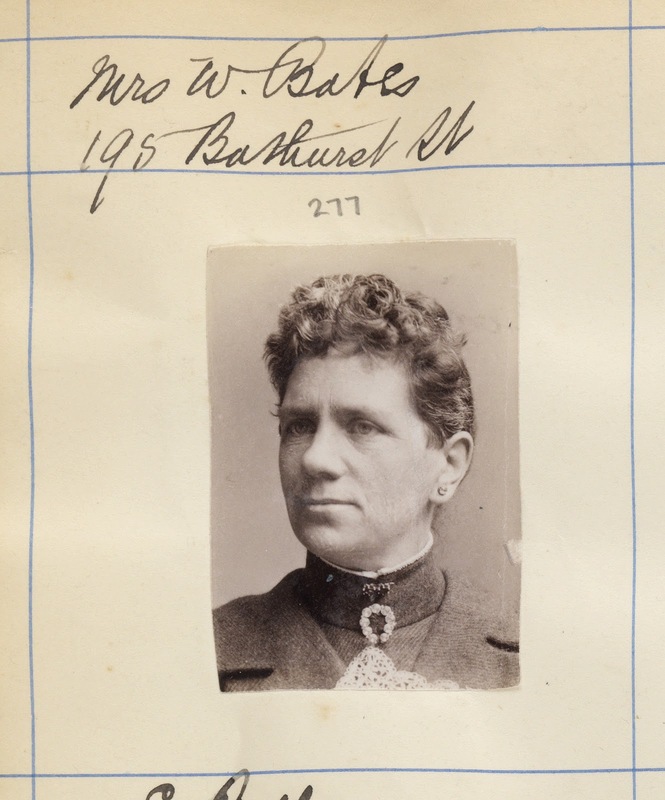 Her younger siblings who were born between 1888 and 1897 in Hobart included Charles Edgar (1888), Gladys (1890) Phyllis (1893), Doris (1895) and Rita (1897) (birth registrations available online at the Tasmanian Archives Office). 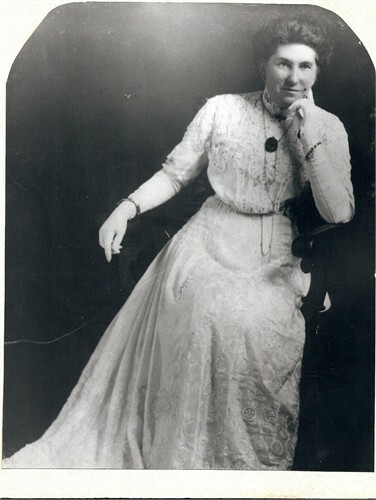 GERTRUDE JANE TENNYSON BATES, b. 1883, Fitzroy, Melbourne, Australia; d. May 05, 1958, Hobart, Tasmania, Australia. WALTER LAWRENCE BATES, b. April 05, 1885, Carlton, Melbourne, Australia; d. December 19, 1959, Kaiser Found Hospital, Walnut Creek, Contra Costa County, California. GLADYS ELIZABETH BATES, b. June 14, 1890, Hobart, Tasmania, Australia; d. April 15, 1959, Oakland, Alameda, California. PHYLLIS IRENE BATES, b. December 18, 1892, Hobart, Tasmania, Australia; d. March 02, 1989, Contra Costa, California. DORIS BATES, b. October 29, 1895, Hobart, Tasmania, Australia; d. July 15, 1968, Contra Costa County Hospital, Pittsburg, Contra Costa, California. 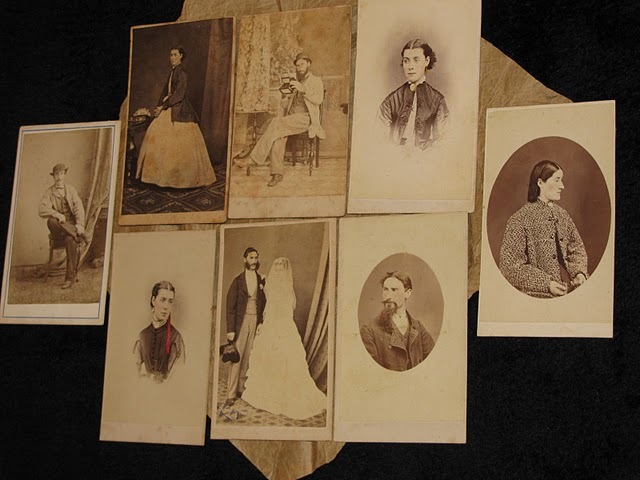 More on GERTRUDE JANE TENNYSON BATES, b. 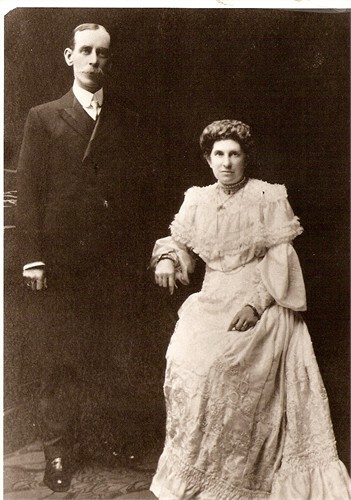 1883, Fitzroy, Melbourne, Australia; d. May 05, 1958, Hobart, Tasmania, Australia and died May 05, 1958 in Hobart, Tasmania.She married THOMAS JAMES NEVIN February 06, 1907 in Wesleyan Church, Hobart, Tasmania, Australia (Source: Marriage Cert. 150. ), son of THOMAS NEVIN and ELIZABETH DAY. 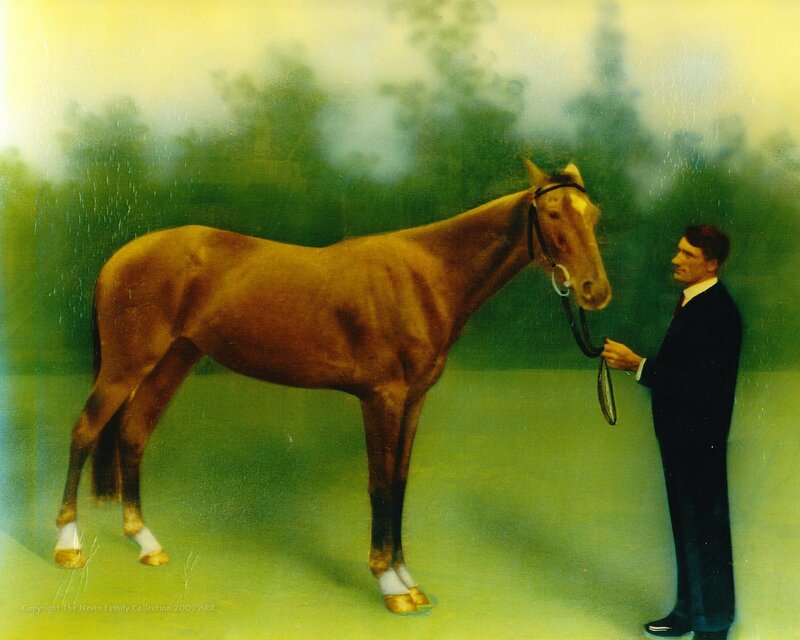 He was born April 16, 1874 in Hobart, Tasmania, Australia and died July 17, 1948 in Hobart, Tasmania, Australia. Nick name-Uncle Sonny. Was in the Salvation Army. Click here to read the extended research file [pdf] forwarded to this site from USA descendants of Walter Tennyson Bates. 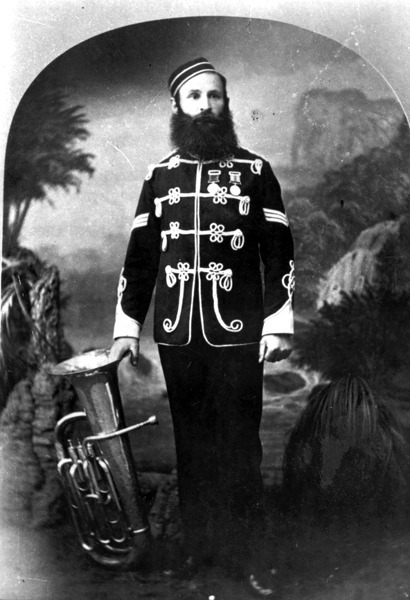 Bandmaster Walter Tennyson Bates was the father-in-law of photographer Thomas J. Nevin’s son, Thomas or Tom “Sonny” Nevin jnr who married Gertrude Tennyson Bates in Hobart, 1907. 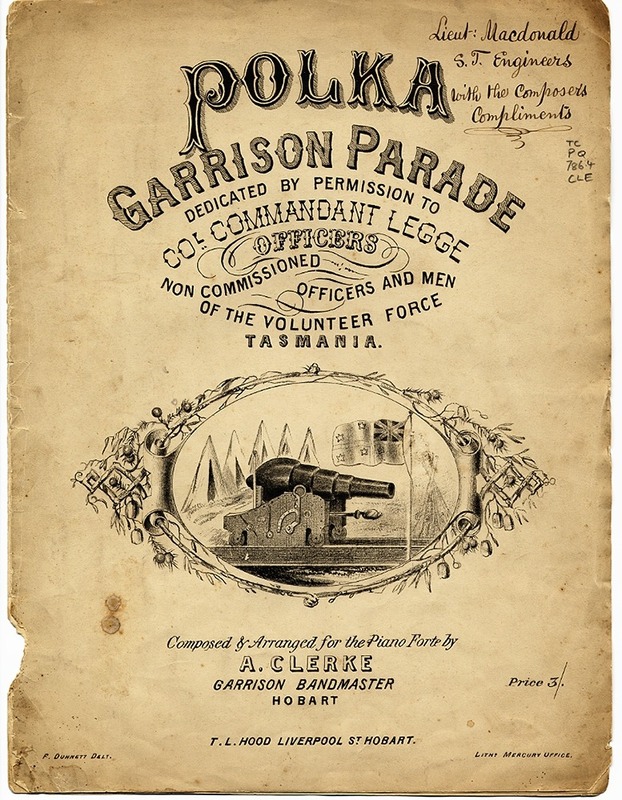 The garrison parade polka by Clerke, Adam. 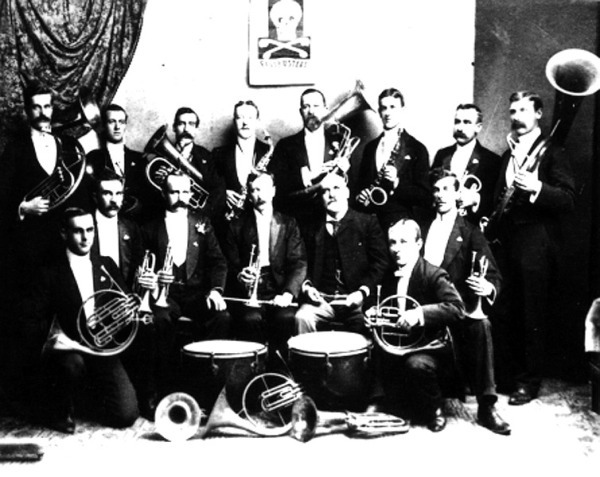 The Tasmanian Archives and Heritage site (online) holds a collection of music scores played by the bands in this era. Click here for a search list. 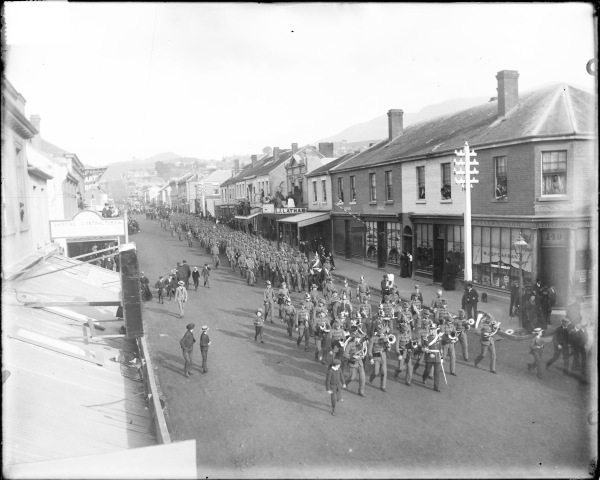 The great band contest, held in connection with the centennial celebration at Sydney, is over, and the band of the 4th Regiment, hailing from Newcastle, are the champions with 274 points, Bulch’s Model Brass Band from Ballarat second with 234, and the Launceston City third with one point behind, 233. The decision was known on Saturday evening, as a few private telegrams were received, but a good deal of misapprehension existed, as the reports that gained currency yesterday morning that the City was only third and the St. Joseph’s seventh were discredited. Last evening, however, in response to many inquiries as to the correctness of the report, the first statement was confirmed. We regret to learn, however, that Mr. Wallace was seriously indisposed, and though he made a gallant effort to lead his band, medical aid, our correspondent tells us, had to be summoned. 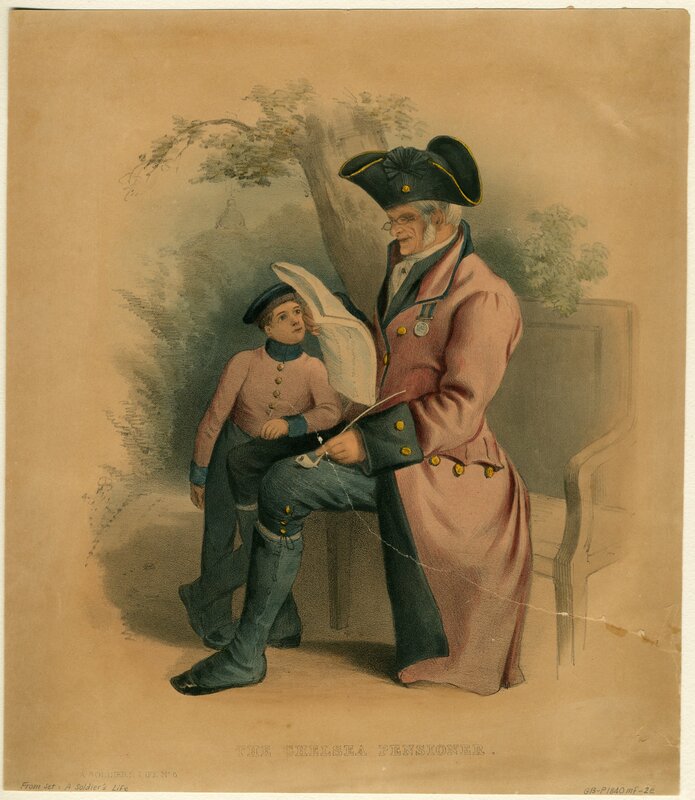 The illness of Mr. Wallace naturally had a very depressing effect on the bandsmen, and it is only reasonable to suppose that had he been in his old form his aid would have more than made up that one point and placed him second on the list. Our correspondent also tells us that the St. Joseph’s Band have come to Melbourne. 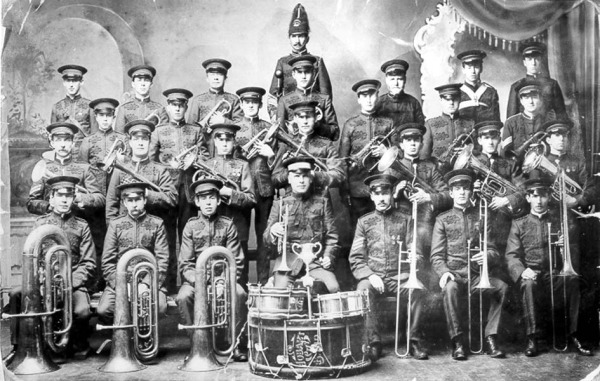 The other bands were:—The Albury Town Band, N.S.W., N. P. Pogson, bandmaster; Mudgee Town Band, Mr. A. W. Sheppard, bandmaster ; Band of the Naval Brigade, Sydney, Mr. J. Devlin, bandmaster ; the Cumberland Band, Mr. W. Walters, bandmaster. The adjudicators were :—Bands—Signor A. Zelman, conductor of Italian Opera, and of the Australian Military Band, Melbourne ; Mr. W. Gildea, bandmaster (certificated) from the Royal Military School of Music, Kneller Hall, England ; Mons. Leon Caron, the eminent composer and orchestral conductor, composer of the Melbourne Exhibition prize cantata. Solos—Signor Zelman, Mons. Caron, Mr. H. McMahon, and Mr. W. Gildea. 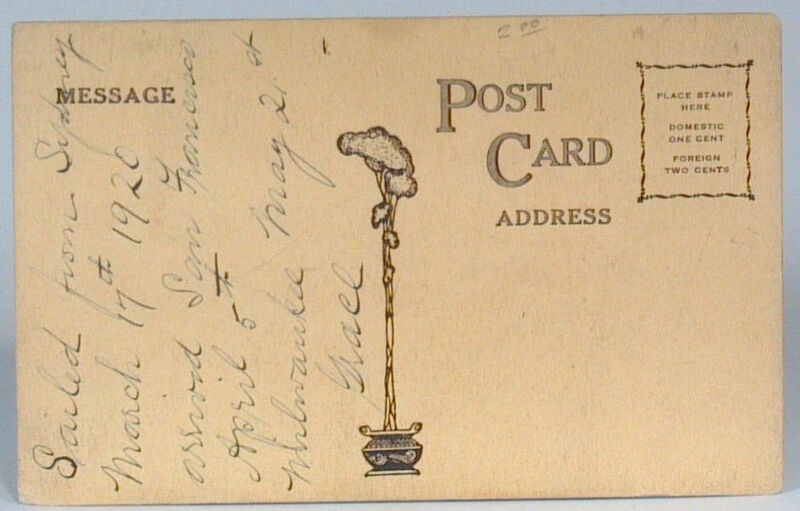 “Victoria Barracks, Sydney, January 25, 1888.—Sir, I send you a copy of a letter I received from Sir Robert Hamilton’s private secretary to-day. I may state that we accompanied a guard-of-honour to meet him on his arrival in Sydney. 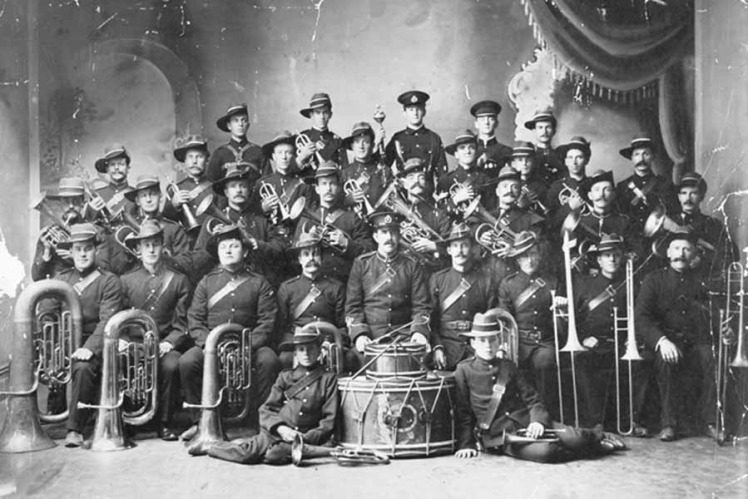 In this photograph of the Filibusters Band, Walter Tennyson Bates is seated centre, holding a cornet in his right hand, and a baton in his left. 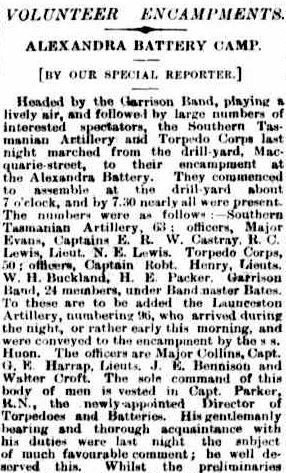 Headed by the Garrison Band, playing a lively air, and followed by large numbers of interested spectators, the Southern Tasmanian Artillery and Torpedo Corps last night marched from the drill-yard, Macquarie-street, to their encampment at the Alexandra Battery. They commenced to assemble at the drill-yard about 7 o’clock, and by 7.30 nearly all were present. The numbers were as follows:- Southern Tasmanian Artillery, 63 : officers, Major Evans, Captains E. R. W. Castray, R. C. Lewis, Lieut N. E. Lewis. Torpedo Corps, 50 ; officers, Captain Robt. Henry, Lieuts. W. H. Buckland, H. E. Packer. Garrison Band, 24 members, under Bandmaster Bates. To those are to be added the Launceston Artillery, numbering 96, who arrived during the night, or rather early this morning, and were conveyed to the encampment by the S. S. Huon. The officers are Major Collins, Capt. G. E. Harrap, Lieuts, J. E. Bennison and Walter Croft. The sole command of this body of men is vested in Capt. Parker, R.N., the newly-appointed Director of Torpedoes and Batteries. His gentlemanly bearing and thorough acquaintance with his duties were last night the subject of much favourable comment ; he well deserved this. Whilst the preliminaries preparatory to forming fours for the march were proceeding, Captain Parker was quick to detect irregularities. He pointed them out quietly, but firmly. This alone is sufficient to show that whilst wishing to act kindly, he will be no party to slovenly movements. This by the way. At 8 o’clock sharp Captain Parker gave the necessary orders, the band formed up, the men formed fours, and to a lively air they marched off. They were followed by large numbers of sightseers, and their appearance was extremely creditable. The camp reached, the S.T.A. provided the necessary guards, and the remainder of the men dispersed to their tents. These are situated on the Brown’s River side of the battery, and are in rows of six, with the officers’ quarters in the rear. Preparations, as previously mentioned, have been going on for some days past, but yesterday Sergeant-Major Martini, Quartermaster-Sergeant Prosser, and 12 men of the Launceston Artillery formed an advance party, and made the final arrangements for the reception of their comrades. Lieut. Buckland, is the Camp Adjutant, and is courteous to all as far as compatible with military discipline. To-day the S.T.A. will be conveyed to the Bluff Battery, and the Torpedo Corps will be exercised at their sheds in the Domain. The Launceston Artillery will be drilled in the use of the machine guns at the Alexandra Battery. It has been decided, owing to the absence of the various corps mentioned, not to throw the camp open to the public until Sunday. On that day Divine service will be held, Rev. R. W. Dixon officiating. If the present weather holds out, the four days under canvas will be very enjoyable. But it is not to be all child’s play, as the officers are determined the men shall receive some lasting benefit from the instruction imparted. This means hard drilling, which the men appear ready to undergo, and it may with safety be augured that when the encampment breaks up the whole of the men will have benefited greatly by the experience gained. Amount of claim, £100, for libel. Jury-Messrs. Malcolm Kennedy, Howard Wright, and J. T. Soundy. The Solicitor-General (instructed by Messrs, Hobson, Mitchell, and Allport) appeared for the plaintiff ; and Mr. W. W. Perkins, of Messrs. Perkins and Dear, for the defence. 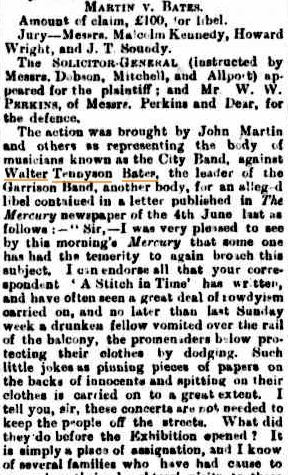 Mr. Perkins contended that the innuendoes contained in the letter wherein the words, ” place of assignation ” were used, were not used against the City Band as a body but against the Sunday concerts as an institution. The use of the building had become an abuse. Mr. Perkins reiterated his statement. There was no desire to injure the band at all. It was against the institution and not the band that the aspersions were cast. They had no wish to injure the City Band at all. The Solicitor-General after consultation regretted that he could not see his way clear to arrive at a settlement. There had been a deliberate attempt to rule the business of the City Band, and moreover there was the question of costs. He had the character of all his clients at stake, and reparation should be made to them. His Honor thought that after the public disclaimer which Mr. Perkins had given the City Band were exonerated from all imputation of having wrongly or immorally conducted any performance at the Exhibition building, and no verdict that a jury could return would exoriate them further. Such a statement might be made against a theatre or any sacred edifice in the place. There was no place which could not be made a place of assignation, even a sacred edifice, but could for example the Lord Bishop be held responsible for that? The defendant had disclaimed any intention to injure the plaintiffs, and this public disclaimer that the letter had not been written against the plaintiffs ought to be sufficient. After further consultation amongst tho legal gentlemen engaged in the case, Mr. Perkins expressed his willingness on behalf of the defendant to pay his own costs, and an amicable settlement was arrived at between the parties. 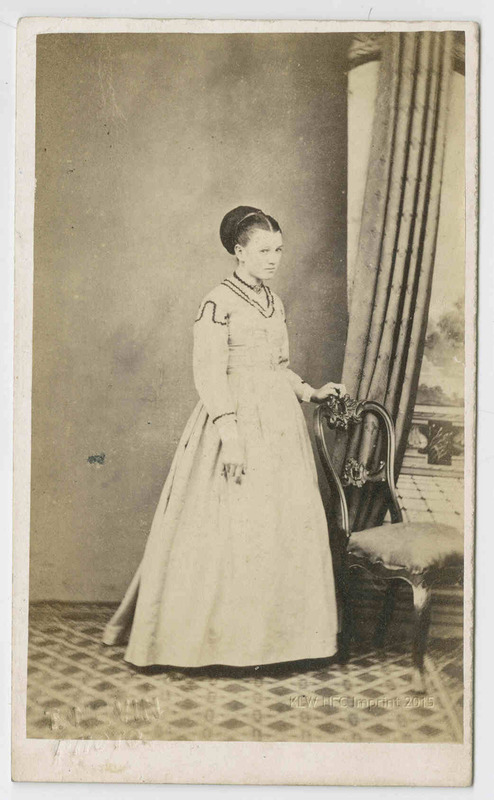 Elizabeth Jane Bates, Walter Tennyson Bates’ wife, held a season ticket to attend the Tasmanian Exhibition 1894-5. CONCERT AND DRAMA.-An exceedingly interesting entertainment was given in the Town-hall last evening, promoted by the Rev. A and Mrs Turnbull in aid of the Mariner’s Church Mission, but owing to counter attractions there was a poor audience. The first part of the programme consisted of musical and other items. 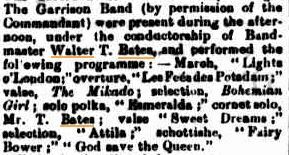 It was opened by the Garrison Band, conducted by Mr. Tennyson Bates, performing Balfe’s overture to The Bohemian Girl, which was given in a tuneful and subdued style that made the performance acceptable. The fault of most bands when performing in a hall is that they nearly break the windows. Mr. Gould sang “The Lighthouse Keeper” in good style, and Mrs. Turnbull contributed a fanstasia on American airs on the pianoforte, evincing much ability as an executant. 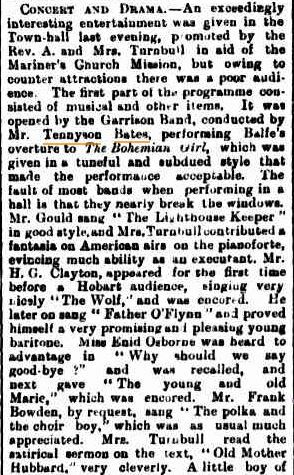 Mr. H. G. Clayton appeared for the first time before a Hobart audience, singing very nicely “The Wolf” and was encored. He later on sang “Father O’Flynn” and proved himself a very promising and pleasing young baritone.. Miss Enid Osborne was heard to advantage in “Why should we say good-bye?” and was recalled, and next, gave “The young and old Marie” which was encored. Mr. Frank Bowden, by request, sang “The polka and the choir boy“, which was as usual much appreciated. Mrs. Turnbull read the satirical sermon on the text, “Old Mother Hubbard,” very cleverly…. THE GARRISON BAND,-A meeting of garrison officers has been held to consider matters in connection with the Garrison Band. The resignation of Bandmaster Bates was accepted, and the question of the future upkeep of a band was referred to a committee to draw up a scheme for submission to another meeting. Several applications were received from bands to be appointed for performing the services required by the garrison, but nothing definite was done. THE GARRISON BAND –Mr. W. Tennyson Bates has resigned the Garrison Bandmaster ship after filling the position for eight and a half years, having been compelled to do so on account of rigid retrenchment. Some years ago the position was worth £150 a year, then it was cut down to £120, now it is proposed to reduce it to £30. This latter amount is utterly incommensurate with the service of so skilled a musician as Mr. Bates, whose record in connection with musical associations is probably unequalled by any other musician in the colonies. The good services be has rendered the music- loving portion of the community in Hobart will give rise to regret at his retirement. Walter Tennyson Bates was a grocer as well as bandmaster. His business premises were located in Argyle Street, Hobart. 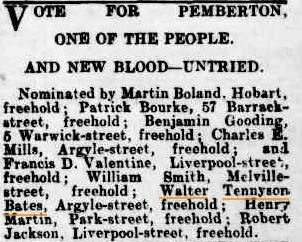 In 1900 he supported Mr Pemberton as “new blood – untried” to win a seat on the Hobart Municipal Council. VOTE FOR PEMBERTON, ONE OF THE PEOPLE. AND NEW BLOOD – UNTRIED. Nominated by Martin Bland, Hobart; Patrick Bourke, 57 Barrack-street, freehold; Benjamin Gooding, 5 Warwick -street, freehold; Charles E. Mills, Argyle-street, freehold; and Francis D.Valentine, Liverpool-street, freehold; William Smith, Melville-street, freehold; Walter Tennyson Bates, Argyle-street, freehold; Henry Martin Park-street, freehold; Robert Jackson, Liverpool-street, freehold. On 15 June 1901 Lucania became the first Cunard liner to be fitted with a Marconi wireless system. Cunard made a long trial of the installation, making their second installation to the RMS Campania on 21 September. Shortly after these installations, the two ships made history by exchanging the first wireless transmitted ice bulletin. In October 1903, Guglielmo Marconi chose Lucania to carry out further experiments in wireless telegraphy, and was able to stay in contact with radio stations in Nova Scotia and Poldhu. Thus it became possible to transmit news to Lucania for the whole duration of the Atlantic crossing. 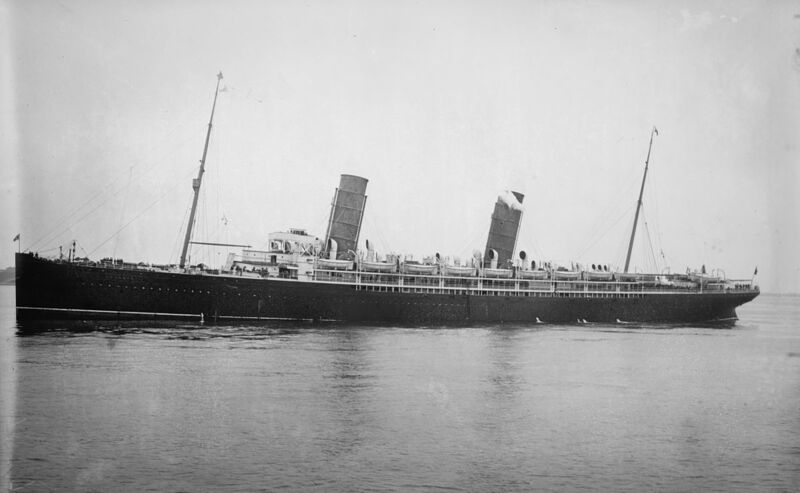 On 10 October, Lucania made history again by publishing an onboard news-sheet based on information received by wireless telegraphy whilst at sea. 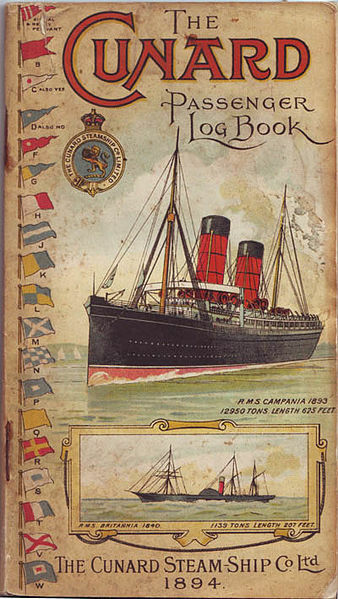 The newspaper was called Cunard Daily Bulletin and quickly became a regular and successful publication. All the first-class public rooms, and the en-suite staterooms of the upper deck, were generally heavily panelled, in oak, satinwood or mahogany; and thickly carpeted. Velvet curtains hung aside the windows and portholes, while the furniture was richly upholstered in matching design. The predominant style was Art Nouveau, although other styles were also in use, such as “French Renaissance” which was applied to the forward first-class entrance hall, whilst the 1st class smoking room was in “Elizabethan style”, comprising heavy oak panels surrounding the first open fireplace ever to be used aboard a passenger liner. 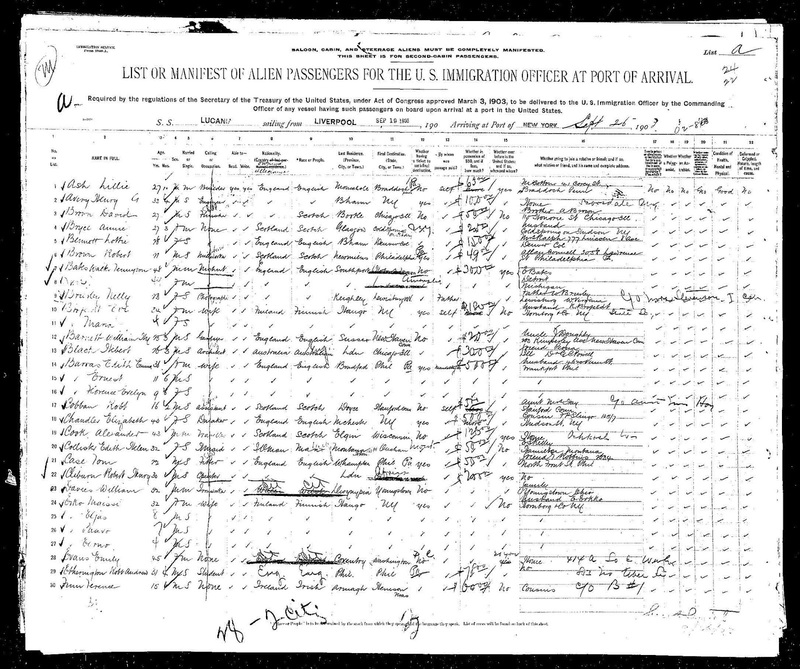 The manifest shows the entry via Ellis Island, New York of Walter and Elizabeth Tennyson Bates on route to Australia (lines 6 -7) on 26 September 1903. Their details on this manifest show that Walter’s occupation was “merchant”; that they were carrying 300 US dollars; that they had previously entered the USA; that their contact was E. Bates in Detroit; that neither was a polygamist nor an anarchist; and that both were in good health. 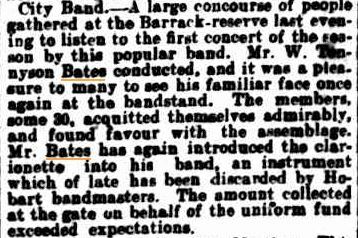 A concert at the Barrack Reserve under the baton of Walter Tennyson Bates was held in December 1904 to raise funds for new uniforms. City Band.- A large concourse of people gathered at the Barrack-reserve last evening to listen to the first concert of the season by this popular band. Mr. W. Tennyson Bates conducted, and it was a pleasure to many to see his familiar face once again at the bandstand. The members, some 30, acquitted themselves admirably, and found favour with the assemblage. 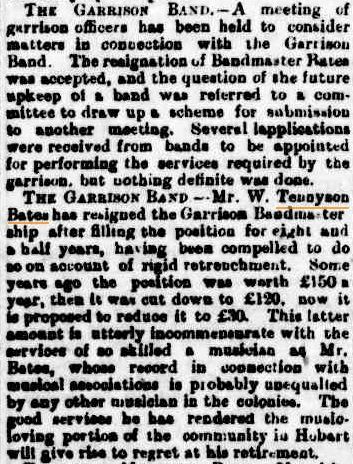 Mr. Bates has again introduced the clarionette into his band, an instrument which of late has been discarded by Hobart bandmasters. The amount collected at the gate on behalf of the uniform fund exceeded expectations. 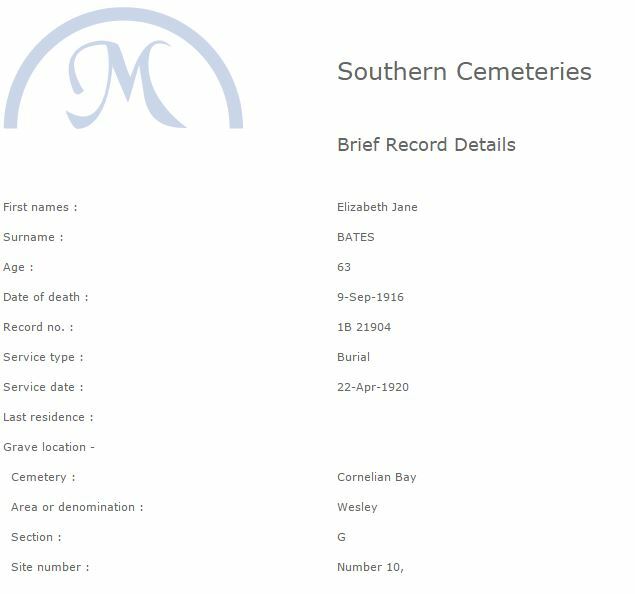 The respective deaths of Walter Tennyson Bates and wife Elizabeth Jane Bates took place in 1905 (Walter) and 1916 (Elizabeth). Walter died in Hobart, Elizabeth died in Oakland, California; her ashes were sent by regular mail to Hobart, where they were buried in 1920 in her husband’s grave. Above: Photograph of Walter Tennyson Bates and wife Elizabeth Jane Bates, dated 1904, taken shortly before Walter Tennyson Bates’ death on 18th December 1905. WALTER TENNYSON BATES was born on November 15, 1854 in Hull, East Yorkshire, England and died on December 18, 1905 in Hobart, Tasmania, aged 52 years. He married ELIZABETH JANE JONES on April 22, 1879 in Poulton Rd, High Park, Lancaster,England. She was christened December 18, 1853, at St. Paul St. Pauls Square, Liverpool, Lancashire, England and died on September 9, 1916, aged 63 yrs, at Oakland,California, USA. 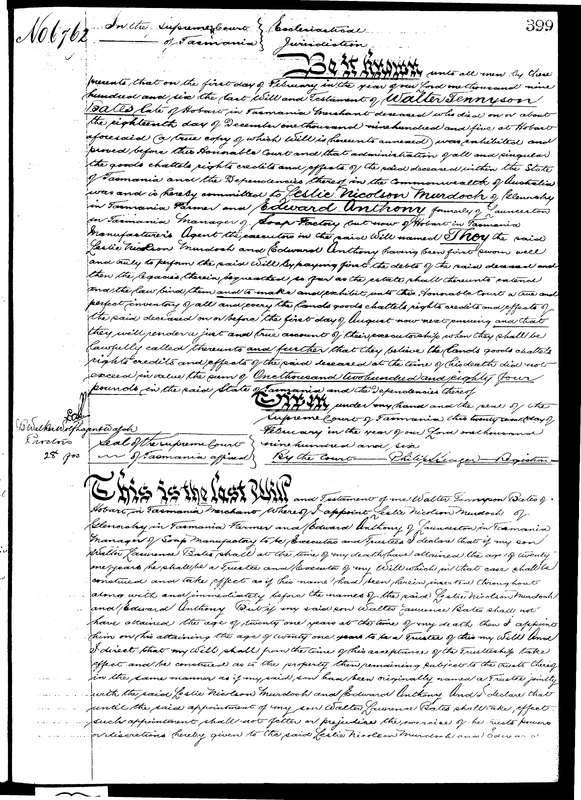 This page of the last will and testament of Walter Tennyson Bates is online at the Archives Office of Tasmania. BATES.- On December 18, 1905, at his late residence, Craigside, Bonnington-road, Lansdowne-crescent, Walter Tennyson Bates, in the 52nd year of his age. 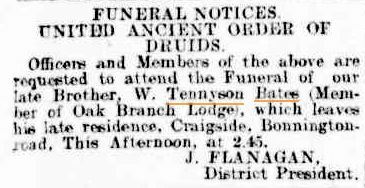 Funeral notice in Wednesday’s issue. Walter Tennyson Bates answered the “Last Call” on the evening of the 18th inst., after a somewhat long illness, having expired at his late residence on Lansdowne Crescent. He had been ailing for some months, and recently took a visit to England and Melbourne in search of cure, but without avail. 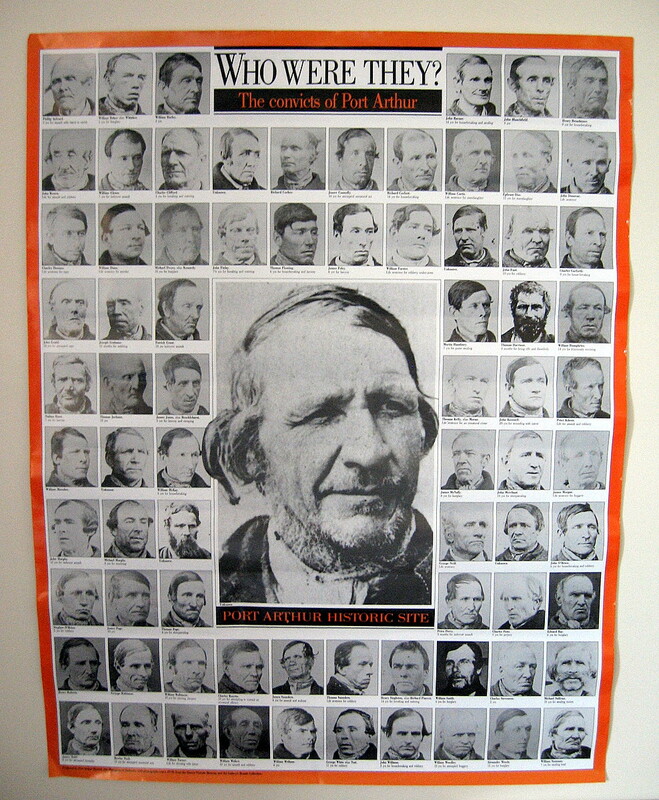 The deceased, who was in the 52nd year of his age, came from the old country about 20 years ago, and settled in Hobart. Prior to leaving England he was the conductor of the Winter Gardens Band, in Southport—one of the best combinations of instrumentalists in England. In Tasmania he had at various times been leader of both the Garrison and City Bands. He was for a long period acknowledged as one of the premier cornet soloists of Australasia. He had of late years conducted a flourishing produce business, and had almost given up the idea of taking to the baton again, but when the City Band solicited him he went heart and soul into the work, and made that band what it is to-day. Mr. Bates was highly respected by all who knew him, as a straightforward business man. Much sympathy is felt for his wife and family. His funeral will be attended by the bandsmen of the city, and appropriate music will be played on route and at the grave. Officers and Members of the above are requested to attend the Funeral of our late Brother, W. Tennyson Bates (Member of Oak Branch Lodge), which leaves his late residence, Craigside, Bonnington-road, This afternoon, at 2.45. The late Mr. Bates was a native of Hull, Yorkshire, England, and came to Australia some 23 years ago. 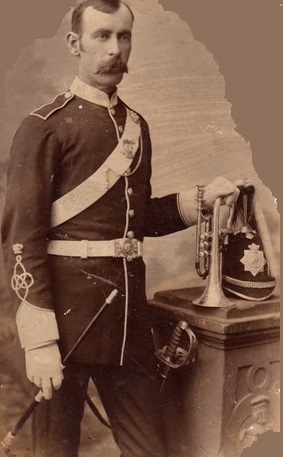 He then spent about three years in Melbourne, and was leading cornet player in the Royal & Princess theatres. 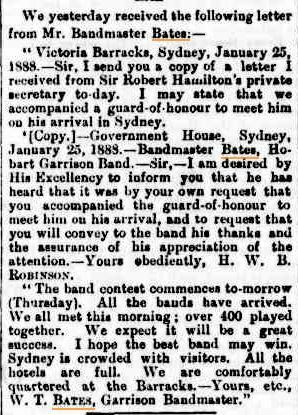 He came to Tasmania to lead the Rechabite Band, and was afterwards conductor of the Garrison Band for many years. He also conducted the Hobart City, Richmond, Bellerive, Kempton, Bismark, Sorell and Filibuster bands at different times, and formed several of them. For a long time he was Grand Trumpeter of the Masonic Lodge. 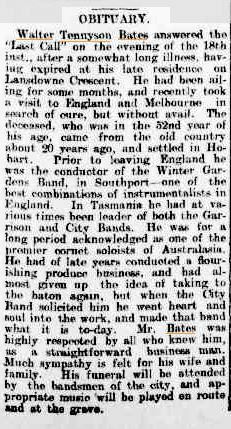 At the time of his death the deceased was conductor of the City Band, but had been absent on leave for some time, Mr. Clay (his first pupil in Australia) acting in his stead. The late Mr. Bates acted as a judge at the competitions in Sydney, Melbourne, Launceston and Queenstown. The deceased was a connection of the late Poet Laureate, his mother being a member of the Tennyson family, Lincolnshire (See note below). He leaves a widow and six children (one son and five & daughters). BATES.—On September 9, 1916, at Oakland,California, United States of America, Elizabeth Jane, relict of the late Walter Tennyson Bates, late Bandmaster, Hobart.